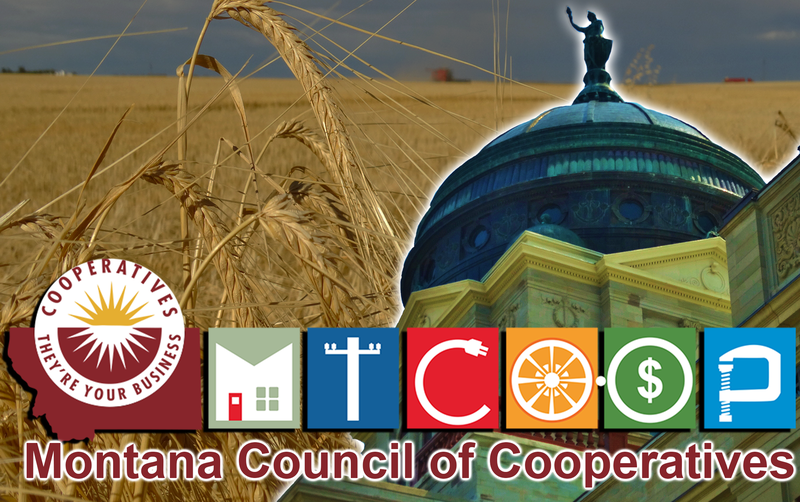 The Montana Council of Cooperatives 58th Annual Meeting convened in downtown Great Falls January 11-12, 2018. . 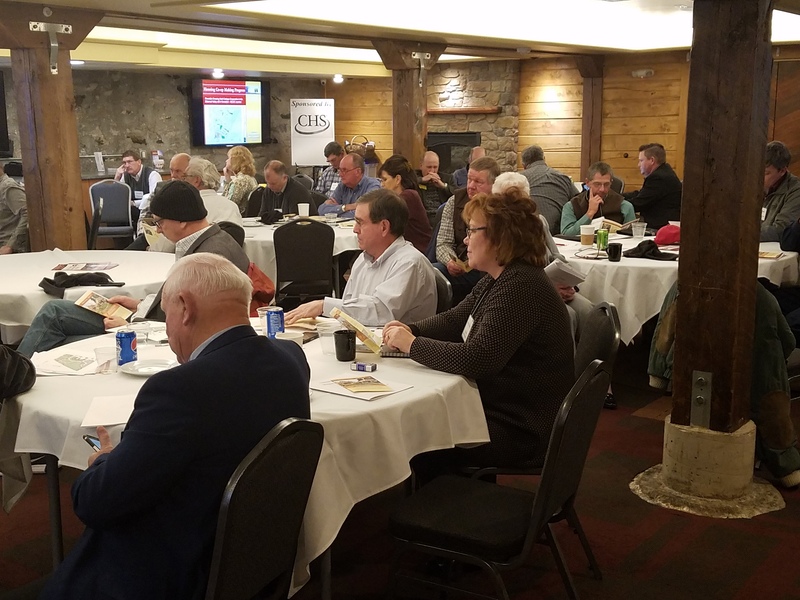 The two-day event brought together 31 representatives of16 member cooperatives at the historic Hotel Arvon. The Council’s annual gathering was sponsored by: CHS Inc., CHS BIG SKY, Hill County Electric Cooperative, Flathead Electric Cooperative, Inc., Land O’Lakes, Montana Farmers Union, Montana’s Credit Unions, Nemont, Northwest Farm Credit Services, Sheridan Electric Co-op, Inc., Moore Farmers Oil Co, Vigilante Electric Cooperative, and Yellowstone Valley Electric Cooperative, Inc. The meeting led off with the public premiere of “Voluntary & Open Membership,” the second video in the “Montana Co-ops 101” Educational Series. 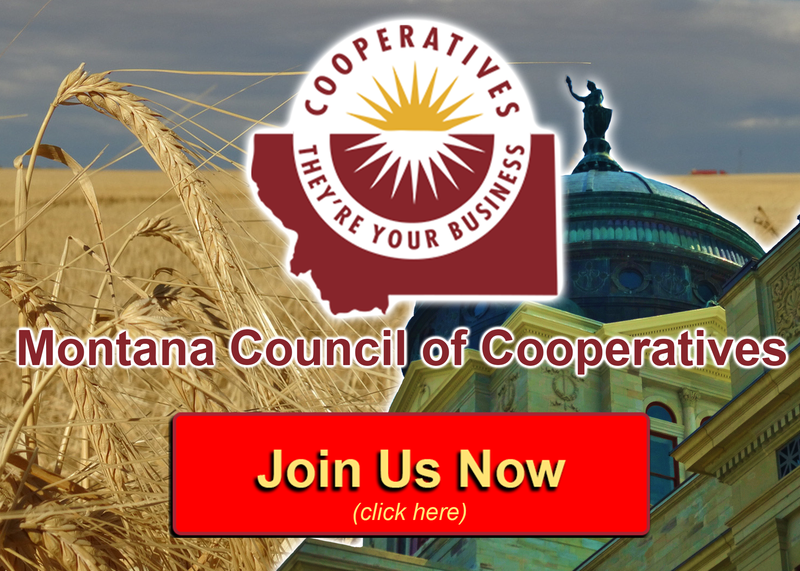 This video features interviews from co-op leaders and members across Montana discussing how the membership builds an important foundation for any successful cooperative business. Ryan Hall of the Montana Electric Cooperatives’ Association (MECA) and Guy Gregory of the Montana Cooperative Development Center (MCDC) then highlighted the Council’s communications accomplishments of the past year and discussed how to build an effective presence on social media. 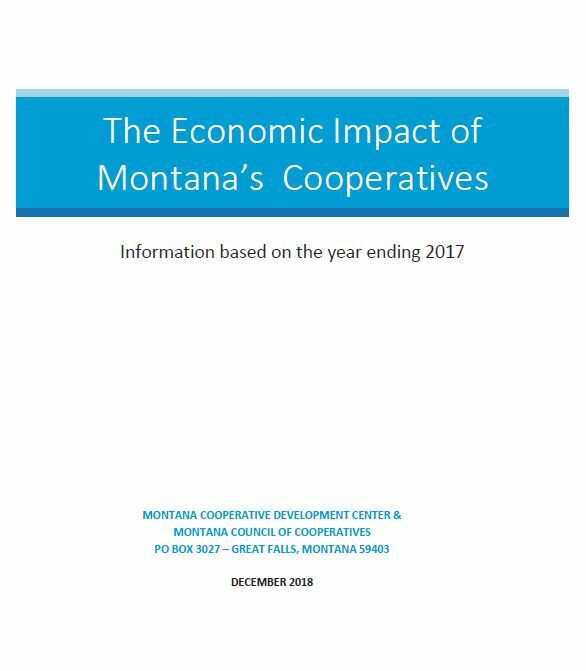 MCDC Executive Director Janice Brown shared the successes of Montana’s very first Cooperative Impact Week held October 30-November 2, 2017, in three Eastern Montana counties. She discussed how the program greatly increased awareness among youth in the area through events at Dawson Community College in Glendive and in Sidney and Circle high schools. Marilyn Besich, MCDC’s newly hired program director, briefed members on the Center’s current co-op development projects and newly incorporated cooperatives in Montana. On the second day of the event, guest speakers from MCOC’s sponsoring organizations briefed attendees on the latest developments affecting their respective co-op business sectors. Gary Wiens with MECA updated members on recent news affecting electric cooperatives and thanked MCOC for sponsoring the Co-op Campaign Academy, a nonpartisan training program for up and coming political candidates. Ranel Smith gave the latest information concerning Montana’s Credit Unions, and Nemont’s Board President Ben Boreson assured members that telecommunications co-ops are following closely the major legislation affecting them. CEO Art Schmidt of Mountain View Co-op gave the most current news influencing farm supply and fuel cooperatives. Bob Manning of CHS Insurance addressed members on the latest laws regarding fair employment hiring and firing practices as well as insurance issues. Senators Jon Tester and Steve Daines both delivered prerecorded messages from Washington, D.C., highlighting their legislative efforts to support cooperatives in the Farm Bill re-authorization. Following the Congressional remarks, Jake Hamlin of CHS, Inc. informed members about public policy issues currently affecting co-ops at the state and local level.. Following the Annual Business Meeting, the MCOC Board of Directors convened a reorganization meeting to elect officers for 2018. President Clarence (Fritz) Keller, Vice President Ben Boreson, and Secretary/Treasurer Dave Kelsey all were re-elected to serve another term on the board in their current positions.